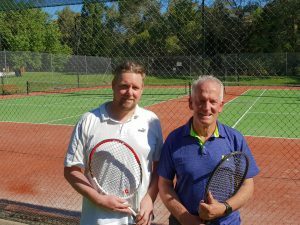 On Sunday 18th November the 2018 Healesville Tennis Club Championships were played. Ladies doubles not being played – not enough entries. No men’s or ladies doubles played. 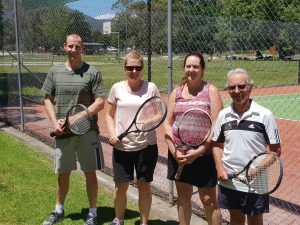 Mixed Doubles: Christine Wittkopp & Vince Gillett defeated Sarah Johns and Michael Maynard 3-6, 6-1, 6-2. L-R: Ross Honeycombe, Michael Young. L-R Michael Maynard, Sarah Johns, Christine Wittkopp, Vince Gillett.